Cats again :P It's the first idea that popped into my mind. Probably influenced by my cats sleeping everywhere and all the time. cute! I'm so jealous of cats. 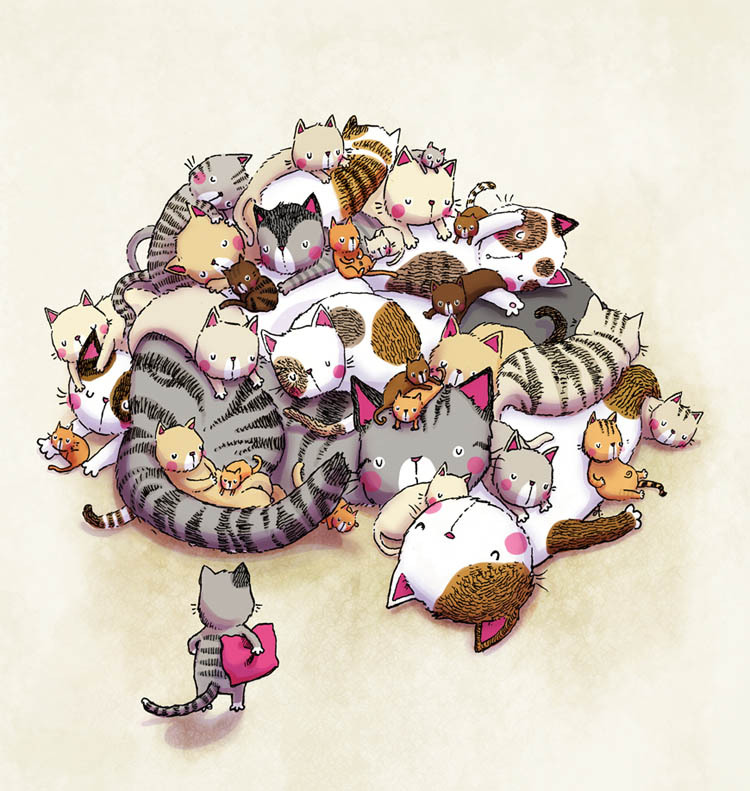 pile of cats!! so adorable! So adorable! So I have to miss out on this prompt, I'm on vacation with no scanner.